Overview: There’s no direct coast road north of Peniche – and, unless you love endless windswept beaches, little variety in the scenery either. Route: The route shown on the map below is about 85% the same as the one that my wife and I took on our tandem back in 2005. However, quite a lot of road building has happened since then and some of the roads we followed would no longer be advisable. We also only had a basic Michelin map that only showed a fraction of the roads that would have been possible and meant we ended up on some busy roads that weren’t always pleasant. Although I’ve been fairly faithful to our original route, now that I know Portugal better and have access to improved maps, I have changed it to avoid some particularly busy sections around Leiria and Coimbra. I’ve also added a detour to Montemor-o-Velho, which has an interesting old castle (and also means the beach at Figueira da Foz is only a short way off). This route also gives you a much flatter, quieter way into Coimbra literally along the edge of the Rio Mondego. Distance & Difficulty: Total distance of about 208km (130 miles). Even with the adjusted route, you will be close to major roads in some places, and will have to cross a few busy roads. However, I don’t think you will have any serious problems with traffic except perhaps while riding into/out of Leiria and Coimbra. 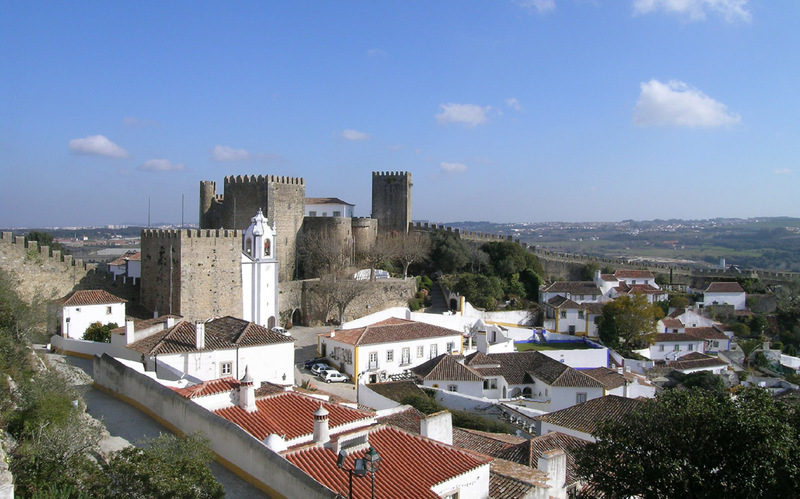 Obidos – walled hilltop town with oodles of charm. Details: The road out of Peniche climbs slowly away from the coast. Most of the traffic is on a new dual carriageway that connects with the A8 motorway so it should also be fairly quiet. Turning north, you might have to watch out for coach parties heading to Óbidos (visit early or late in the day to avoid crowds). 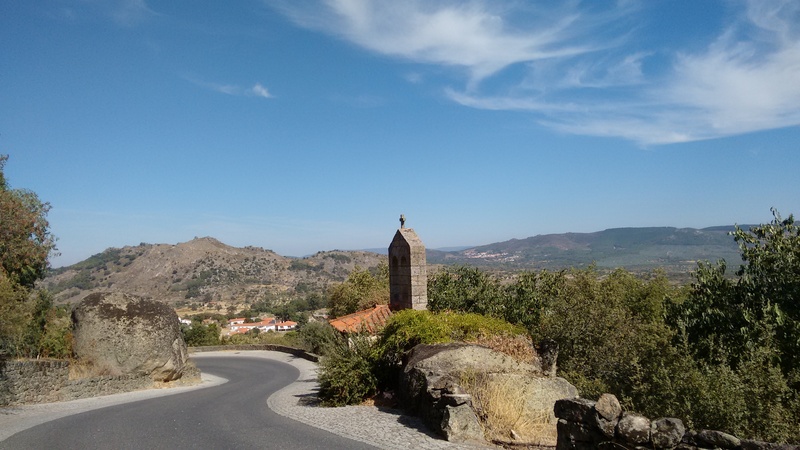 After Caldas da Rainha, though, we picked our way further to the east and found some peaceful, rolling roads that made for very pleasant cycling. 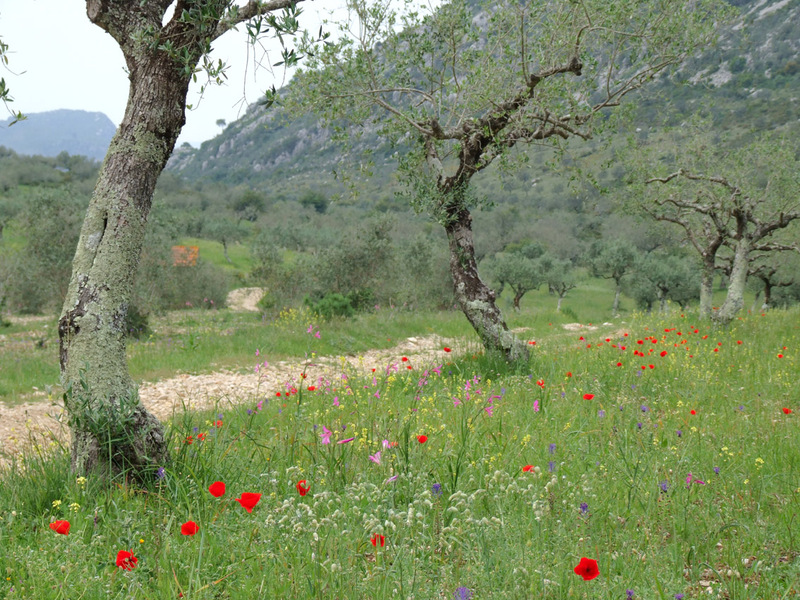 This detour takes you through a rugged limestone area with some dramatic crags and sweeping valleys. At 73km (44 miles) it’s a bit further than the 54km (34 miles) taking my more direct route and will also be a fair bit hillier. I’ve only walked in this area not cycled – and it would be a reasonable climb up into the park – but it’s a beautiful area and very quiet. 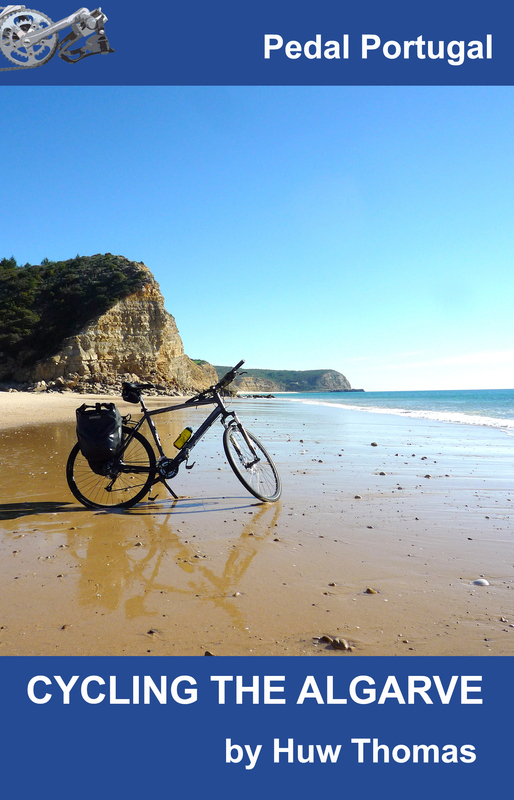 For coast lovers, an alternative (45km) route to Alcobaça would be to head via São Martinho do Porto. 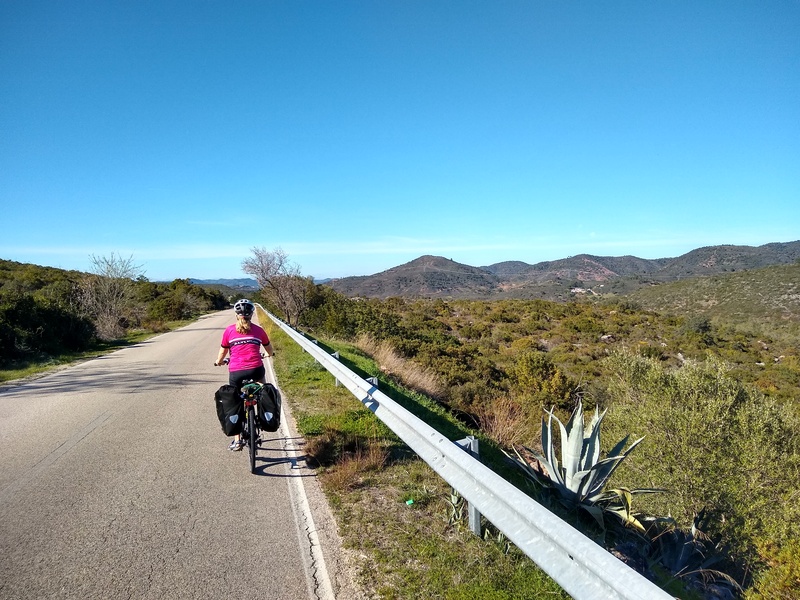 Heading north from Alcobaça and Batalha, the terrain continues to be quite rolling with some long climbs and descents but nothing too severe in terms of gradient. 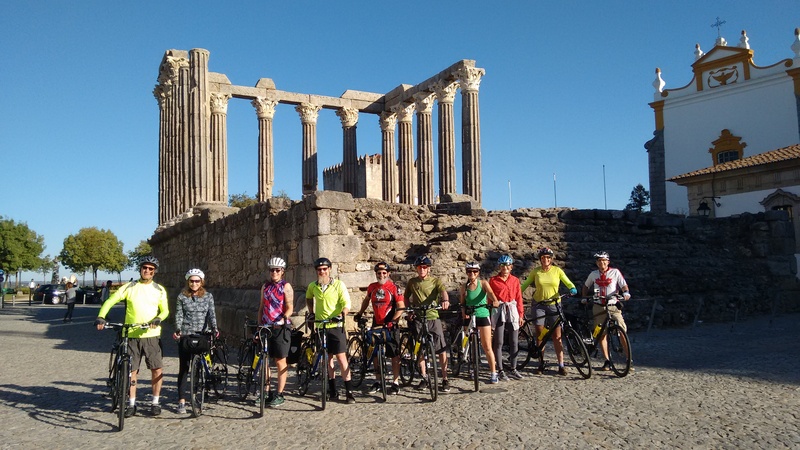 Arriving in Coimbra, you can also avoid a stiff climb by not doing as we did and riding up to the historic university area. Most hotels, guesthouses and restaurants are lower down closer to the river. 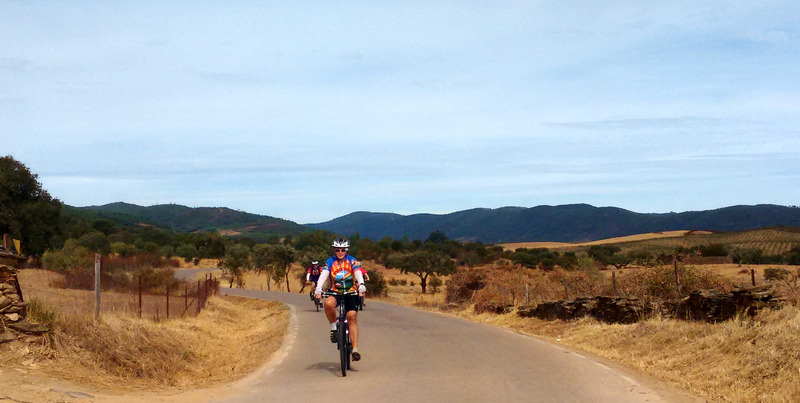 Stages: We did this section in three fairly long days of riding, stopping in Alcobaça, Pombal and Coimbra. 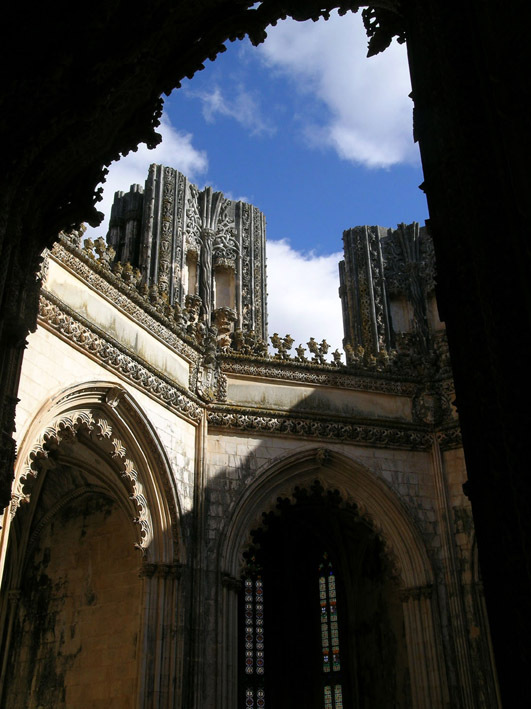 Alternative stops could include Caldas da Rainha and Leiria – and São Martinho on the coast. If you take the loop through the Serras de Aire e Candeeiros, then Porto de Mós will also make a good overnight halt. 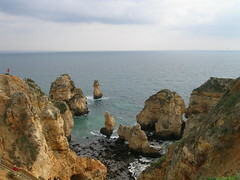 If you want campsites, you’ll have to stick to the coast – there are sites around São Martinho, Nazaré and São Pedro de Moel (out from Leiria). If you’re staying in guesthouses or hotels, however, you should be able to find a range of options in any of the stops suggested above. There are also plenty of villages and small towns along the way for café stops or to pick up food supplies.